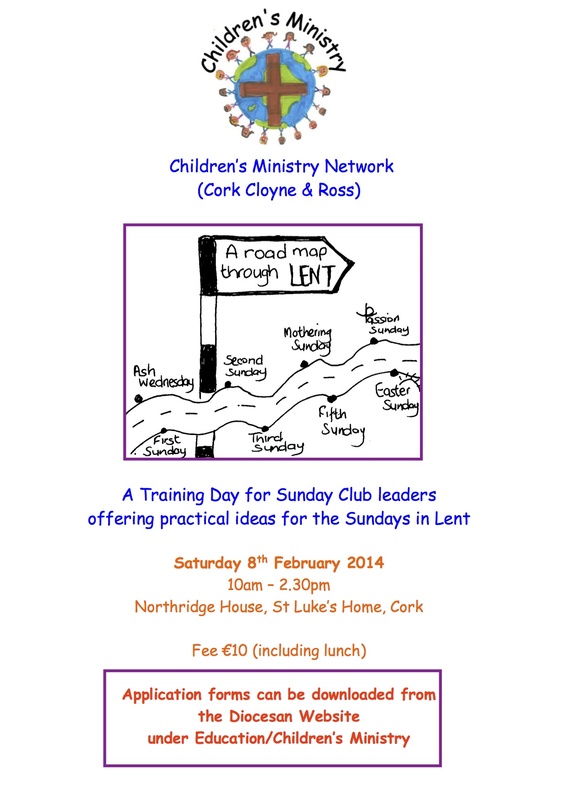 The newly formed Cork Cloyne & Ross Children’s Ministry Network are organising a Training Day for Sunday Club leaders and assistant leaders entitled ‘ A road map through Lent’. This event will take place on Saturday 8th February 2014 at Northridge House, St Luke’s Home, Cork from 10 am to 2.30 pm. The cost for the day will be €10 (including lunch). This entry was posted in Announcements, Children's Ministry, Children's Work, Training Event and tagged Announcements, Training Event. Bookmark the permalink.